Tuscan Ventures creates diverse portfolios to deliver value to our investors. We know a good thing when we see it. Tuscan Ventures led the investment in the management buyout of RBS’s India wealth management business. Sanctum offers a range of bespoke products and services to HNI & UHNI clients. Its key offerings include investment solutions, real estate services and wealth planning. The firm is led by some of the most experienced and driven people in India’s wealth management industry. Sys Two Analytics & Research (India) Private Limited (STAR) delivers value-added, fundamental analysis and research in the equity market using a disaggregated judgment approach. System Two Advisors, L.P. is an asset management firm that, based on academic findings in decision sciences (cognitive psychology and statistics), combines clinical (fundamental) and statistical (quantitative) approaches to return forecasting. Paragon is a USD 200 Mn private equity fund that invests in high-growth mid-market companies with an aim to add value through the experience of the Paragon team and its Advisory Board. Paragon’s vision is to be a leading India-focused mid-market private equity investor, providing superior returns to all its stakeholders through value added activities at its portfolio companies. Velvetcase is an online marketplace of curated fine jewellery from designers across the globe. Velvetcase is a platform for jewellery lovers seeking modern, contemporary or classic designs with a personal touch. Customers can shop from our ready-to- wear designer collection or customise their designs to suit one’s personal style. Seeking design excellence and integrity, variety and style, Velvetcase has assembled the best in jewellery designs from innovative designers around the world. Spotting the large, relatively untapped opportunity in India’s cold chain space, Tuscan Ventures incubated a cold chain company of its own: ColdStar Logistics. The company’s cold chain solutions encompass refrigerated transportation storage and distribution services for perishable cargo. Tuscan Ventures invested in LCL Logistix Pvt. Ltd. (LCL), in early 2008. 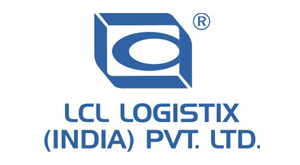 LCL is one of India’s largest freight forwarders and 3PL services provider with 33 offices and 400+ employees. Beginning from its roots as a service oriented freight forwarding company, LCL, over the past few years has added significant competencies to become an integrated local logistics player with global reach. In April 2015, Tuscan successfully exited its entire holding in LCL to CMA CGM Logistics, the logistics arm of the 3rd largest shipping conglomerate, CMA CGM Group.